Piano Tiles 2 is a free game for phone. With the smooth gameplay and the different challenges give players the exciting experience. Obviously, players who use one finger to play will be slower than those using two fingers, the first thing to do is learn to control the two fingers: two thumbs or index fingers. If playing on the iPhone, players should use their thumbs. However, if the player can put the phone on a flat ground, the index finger may be a better choice. Personally, we suggest using thumbs, because you’ll have better speed and motor control overall. 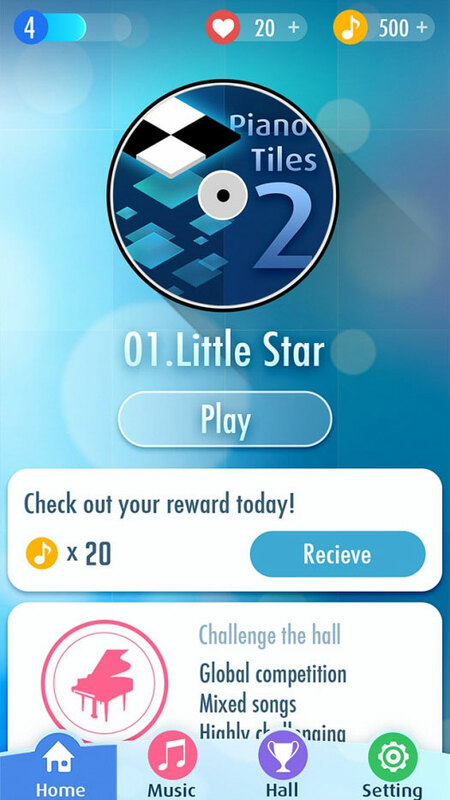 Modes such as Classics and Zen in Piano Tiles 2 can be considered easier because players do not need to accelerate and can play at their own pace. This is a good way to practice before you play in the most difficult modes like Arcade or Race. The most difficult mode in the game Piano Tiles 2 is Arcade, Rush and Relay. Play only one mode to master it, so you’ll do better and be more satisfied with your score!